Spacious suite with private garden terrace. Guests are made warmly welcome and are free to come and go as they please in this spacious 4 star guest house in the lovely Upper Swansea Valley, on the edge of the Brecon Beacons National Park, close to Dan-yr-Ogof National Caves and Craig-y-Nos Castle & Country Park. To the North East is the extensive waterfall country around Ystradfellte and nearby is the tallest waterfall in South Wales Henrhyd Falls. This is beautiful walking and cycling country well worth exploring. If you are not feeling quite so energetic or adventurous relax in our comfortable guest lounge, borrow a book from our extensive collection or unwind on the garden patio. If you are here in the afternoon then why not sample our complimentary afternoon tea. The comfortable accommodation consists of two double rooms each with private shower or bathroom, seating area & TV, coffee & tea-making facilities. One spacious double or twin-bedded suite with shower en-suite, well-furnished private lounge with sofabed & TV, private garden terrace. 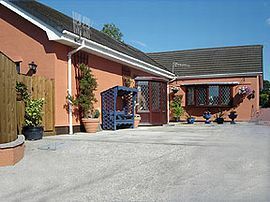 In this well appointed, spacious guest house, Sharon & Stan Parker offer you homely accommodation, delicious meals available from a choice of cooked or continental style breakfasts which include everything you might expect (plus healthy options)to evening meals or light suppers up to 3 courses on request. All our meals are freshly cooked to order and ingredients are sourced locally wherever possible; all our bread is homemade. There are several good pubs and restaurants within a few minutes drive offering excellent lunches and evening meals. On your behalf we have sampled many of them and we can recommend that you try them! Come .....make yourself at home. Double room (2 sharing)with private facilities £27.50 to £40.00 per person per night. 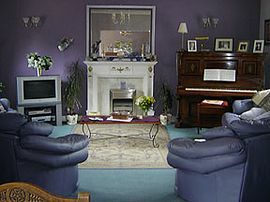 Suite (2 adults sharing) £37.50 to £50.00 per person per night. 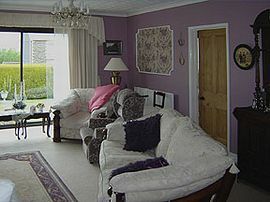 Suite (3 adults sharing) £30.00 per person per night. Suite (2 adults plus 1 child under 14) £85.00 per room per night. 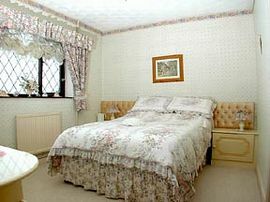 Suite (2 adults plus 2 children under 14) £95.00 per room per night. Evening meals available from £9.50 per person. Special Diets Provision: Special diets are catered for. Vegetarian & Vegan meals available. * Thank you both. Wonderful hospitality and fantastic rooms. * Excellent accommodation, will suggest it to my friends. * Brilliant! Thanks for the directions and the great hospitality. * Excellent service. Definitely recommend to friends. Will be back. * Really enjoyed our stay. Excellent service. Approaching from the west or south east on the M4 exit m-way at j45 & follow the A4067 towards Pontardawe and Brecon. Pick up signs for Ystradgynlais. From the north, A4069 or A4067 southbound follow signs for Ystradgynlais. Go to centre of Ystradgynlais. Locate Station Road (Barclays Bank on corner), drive up this road turn right at junction. Follow the winding road for 0.9 miles. At this point on the left is Pen Pentre with a private layby in front of gate.